Patty Baskin is the executive editor of the Neurology journals, which consist of two renowned print journals, two open-access online-only sub-specialty journals, three international editions, two curated collection blogs, and a highly successful podcast. Patty undertook management of Neurology in 2007. The extensive array of related publications and products were all established under the innovative leadership of Baskin in the executive editor role. Executive editor positions have increased in prevalence over the last 6 to 7 years. An executive editor is more than a managing editor (Figure 1), with the responsibility of directing on or more journals and applying high-level thinking—strategic planning and other “big-picture” aspects (rather than day-to-day publishing operations). Further, it is typically not the function of the executive editor to decide a journal’s content but to act as an adjunct to the editor-in-chief whose primary responsibility is content (Figure 1). Baskin describes the position as the hub of a wheel—the key contact for everyone contributing to the publications. This central location allows Baskin to set the tone for the journals’ business: collaborating with editors to help establish a journal’s vision and mission, and strategizing how to reach those goals. It is her job to use strategic planning to promote growth (e.g., launching sub-specialty journals), to keep up with the changing landscape in scientific publishing (e.g., open access), and to establish and uphold the journals’ policies. 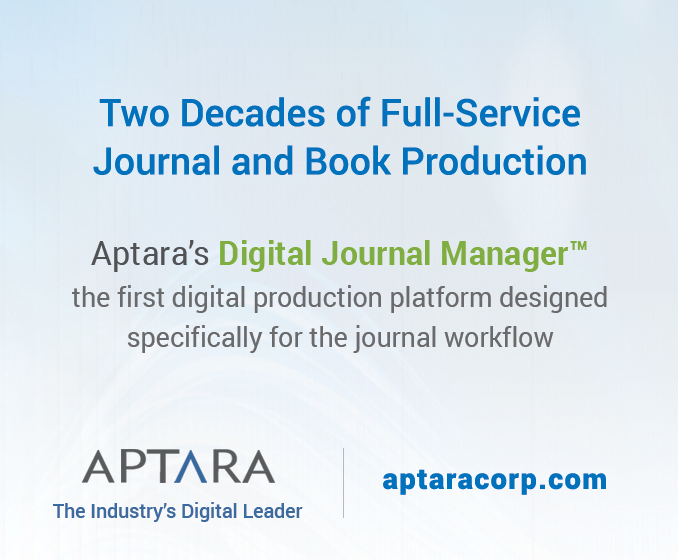 At its core, the business of the journals is the foremost responsibility of the executive editor position. Figure 1. Flowchart of the executive editor’s central position at Neurology. Dashed lines = directions flow both ways (e.g., from the managing editor to the associate editors; from the executive editor to the editors; etc. ); solid lines = directions flow down from the executive editor. The “business” of a journal covers many duties, including (but not limited to) upholding policy; strategic planning and decisions; maintaining scientific integrity; solving problems; and staying at the forefront of publication trends and innovation, leadership, and team building. It is the editorial team the executive editor builds and leads that conducts the day-to-day operations of publication and ensures excellence in the resulting product. “Team building for an executive editor is really important,” Baskin stresses. “You can have the vision, you can outline the plans, but when it comes to execution . . . the team are the people who do it.” This role requires inspiring leadership. A passionate, inviting, and encouraging leader who guides and mentors staff and editors alike will ensure the development of a high-quality product by the excellence he or she inspires. The crucial component to all these responsibilities is, unarguably, communication. Communication among editors, editorial staff, vendors, the host or partnering society, and the publishing industry is the expertise of an executive editor. In Baskin’s opinion, the most essential communication tool is networking. The established network of an executive editor allows him or her to keep up with publishing trends. In the competitive environment of scientific publishing, networking provides a necessary assist to keeping a journal at the forefront and maintaining one’s standing as a professional. Baskin identifies networking as the means to a wealth of opportunities: the ability to reach out to others with problems, to learn alongside others, to receive advice, to advance your career, and to watch and stay ahead of journal trends. Networking is important leading up to the position of executive editor and even more so once in the position. “It’s not suddenly that you get to executive editor and then you start checking out what is going on; you’ve been doing that for years and you’ve been learning,” says Baskin. From talking and problem solving with direct colleagues to attending conferences specific to science publishing, many networking opportunities are available at every stage of a career, allowing anyone aspiring to be an executive editor to begin taking appropriate steps immediately. Education is typically the start of any career trajectory in scientific publishing. Baskin stepped into publishing after obtaining a bachelor of science in biology and physiology and a master of science in genetics from the University of California, Berkeley. After working several years in scientific laboratories, she began “pick-up: work in editing, writing, and preparing papers for publication in specific journals, which solidified her interest in pursuing a career in scientific publishing. Although each publishing professional’s career path is unique, many individuals have received a bachelor’s degree in English, journalism, or communications. Baskin views her scientific education background as insider knowledge. She is familiar with the scientific academic environment and understands the perspectives of submitting authors. Further, she feels comfortable working with scientists and is not intimidated by their academic achievements. A science background, in Baskin’s words, “increases the credibility that I have with scientists right away, because they know that I’m not naïve about science and science research.” While helpful, a science background is not necessary to pursue a career in scientific publishing. 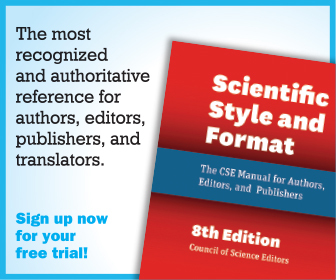 In fact, most scientific publishing professionals learn on the job and gain confidence in working with highly credentialed authors and editors. Baskin’s science education did lack the publishing aspect needed to pursue her interest, so she enrolled in a one-year scientific technical writing and editing course. The certificate course provided tools and opened doors in her chosen profession, including her first position as the associate managing editor of the American Journal of Human Genetics. Most people entering publishing will begin at an entry-level position, such as an editorial assistant, but then fate and intentional persistence play a hand. The road to becoming an executive editor requires dedication and passion to learn more, network more, and be open to any opportunity that presents itself. Sometimes, it can be as simple as being in the right place at the right time, but even that involves finding your way to that right place. To attain the position of executive editor, a prospective candidate must seek opportunities to gain more responsibility and find meaningful ways to contribute. “Focus on learning what you can as early as you can; that means going to meetings, networking, talking with other people, being willing to learn from the mentors you have around you,” says Baskin. Opportunities abound in today’s global world, starting within the office (e.g., what isn’t being done that could be done?) to mentoring programs, such as those provided by the Council of Science Editors. The key is to always pursue continued learning. Understanding the ins and outs of modern publishing is only the beginning. As previously mentioned, a future executive editor should take actions such as those required in the position: staying open to new ideas, seeing what is and what could be, being brave in the face of innovations, and not setting limitations. With a positive attitude and an eagerness to learn, the pathway to executive editor is there for the taking, and what a pathway it is! The experience required for the position, and within the position itself, provides a strong foundation for many career moves. Baskin shared that her experience as an executive editor has opened the door to many realms of business. Indeed, the future is bright as viewed from the office of an executive editor.